Apigenin is a flavonoid. It is widely distributed in nature. It is mainly found in the vegetables and fruits of the warm tropical, especially the high content of celery. 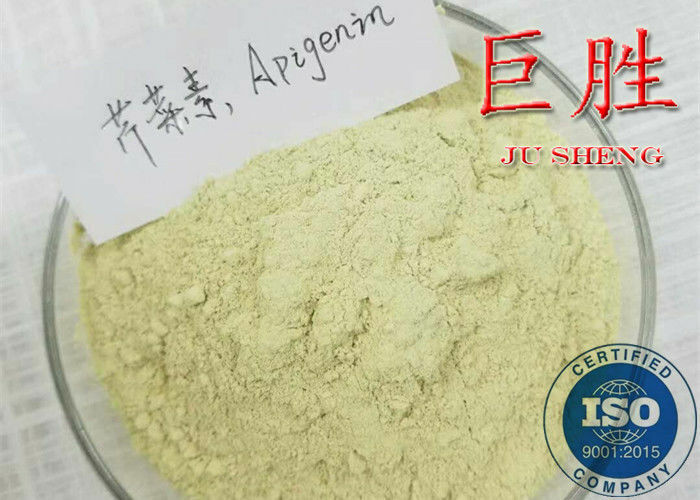 A large number of studies at home and abroad have found that apigenin has many biological activities such as anti-tumor, cardio-cerebrovascular protection, antivirus, antibacterial and so on. 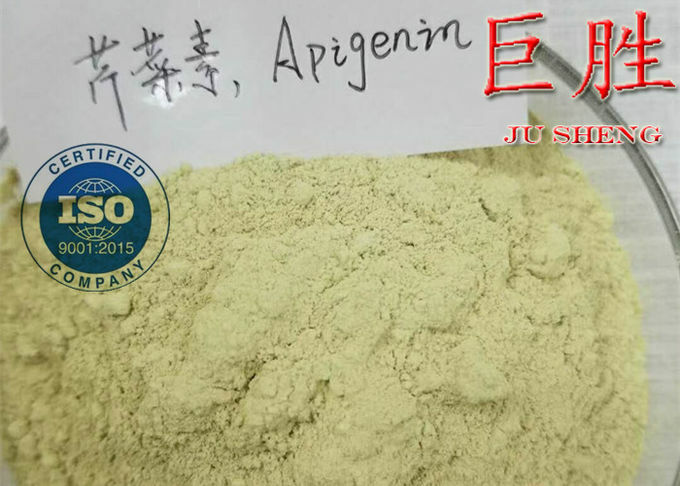 Apigenin can inhibit carcinogenic activity of carcinogens; Antiviral drugs for HIV and other viral infections; MAP kinase inhibitors; Treat all kinds of inflammation; Antioxidants; Be calm and serene; Buck. Compared with other flavonoids (quercetin and anisoflavones), it has the characteristics of low toxicity and no mutagenicity. 1. Apigenin has potential to reduce the risk of cancer since it has anti-tumor activity.It can induce the apoptosis of human gastric cancer cells via activating mitochondrial signal transdution pathway and promotes proliferative inhibition and apoptotic induction of human acute myeloid leukaemia HL-60 cells by cisplatin(DDP). 2. Apigenin also could potentially be useful in allergic conditions since it can have anti-inflammatory properties. 3. Apigenin,as a non-toxic plant flavonoid,has been shown to free radical scavenging properties and antioxidant effects. 4. Apigenin has anti-hypertensive effects. 1kg/ plastic bag, 5kgs/ plastic bag or 25kgs/drum with plastic bag inner. Keep in a tightly closed container, stored in a cool, dry, ventilated area.